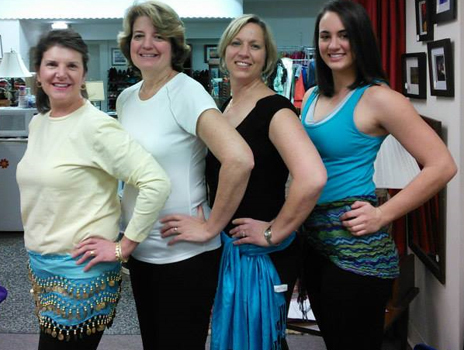 Hire Amartia for your Belly Dancing Workshop in Baltimore, Maryland, and beyond! Amartia’s unique blend of urban styling and Greek background makes her a very unique performer. She has designed a variety of workshop topics to allow her to show you how to be the same! The Greek dance Zembekiko has traditionally been a dance done only by men but the times they are a changing! Now this dance is being taken over by The Ladies! Allow Amartia to help you adapt this men’s dance for the feminine shape. She will show you how to finger snap, kick and πηδα (hop) your way to the Greek style performance of your dreams! A bouzouki solo isn’t just a chance to shimmy like you’ve never shimmied before. It’s a chance to show off your Greek dance skills. Don’t have them yet? Well, you’re in luck, Amartia can teach you how to adapt your moves to rock a Bouzouki solo like a drum solo and look Greek all at the same time! Amartia will cover the combinations, styling and techniques inspired by the legendary Egyptian bellydancers….or were they? Our favorites such as Nagua Fouad , Katy, Samia brought in influences from their own cultures and created a niche hybrid of dance called Raks Sharqi. Discover all of their secret pasts. Delve into the Lebanese, Tunisian, Syrian, Latina, Greek and Egyptian dancers whose movies and moves we love to watch. Learn how to blend their cultures (and yours) into a unique style of Raqs Sharki? Have Questions about Any of the Greek Workshops? Contact Amartia now! The restaurant gigging scene may seem like a cut-throat, grueling place but it doesn’t have to be! Amartia can help you navigate these shark infested waters to give your best performance and wow that restaurant owner. Her years of experience will help guide you through even the toughest of situation- oh the stories you’ll hear her tell- from loud customers, to prop stealers, she’ll help you get through them with class and grace. In this workshop, Amartia will give you the tools, tips and tricks you will need in order to survive and surpass the restaurant gigging scene. Incorporating props into your routine can make it a much more entertaining and engaging performance. Bring your favorite bellydancing prop (veil, cane, wings, stick, tray, cape, etc) and Amartia will help you make it POP! Tips and technique for posture, poses, arm patterns, flourishes and turns will be presented. Also get a chance to dance with the latest trend: LED lights. Turn out the lights and turn out your dance! Need more info? Feel free to give me a CALL! If you bring it, we’ll bling it. Costumes are an integral part of our performances. They accentuate our movements and dazzle our audiences. But there comes a time when even the best costume needs to rekindle its sparkle and get a “Hip Up” on the latest fashions. Amartia will show you how to breathe new life that costume with a Bling Kit filled with rhinestones, embellishments, sequins and ornaments. Shimmer that skirt, Create that costume, Hip-hop that hipscarf, Po that prop, even Scintillate those shoes! Attendees will receive a Bling it Kit included in the workshop. NICHE PLEASE…Brand your way to the top! Uplift your dance, not undercut. Work cooperatively, not competitively. Knowing how to be a performer and a dancer just doesn’t cut it anymore. With social media, a plethora of dancers have been revealed, but don’t focus on them, focus on what makes YOU the top dancer in your area. Learn the business of Carpe Diem. Carpe social media! Carpe marketing your brand! Carpe your niche and Carpe those opportunities! Amartia will show you how to unlock the mysteries of your brand, the opportunities it brings and see the hidden gems that you already possess!